This past July, as part of our ongoing effort to monitor legal developments concerning social media evidence, we searched online legal databases of state and federal court decisions across the United States to identify the number of cases, in the first half of 2012, where evidence from social networking sites played a significant role. The overall tally came in at 319 cases for this 6 month period, which is about an 85 % increase in the number of published social media cases over the same period in 2011, as reported by our prior survey earlier this year. This case involved an evidentiary authentication challenge to social media evidence introduced through mere printouts of screen captures. The Defendant’s appealed his conviction of sexual assault of a minor child on the grounds that the MySpace pages offered into evidence by the prosecution did not have a proper foundation, and that the prosecution presented no evidence showing that the photographs were unaltered. The Texas appellate court noted in its decision that the prosecution offered minimal circumstantial evidence to establish the authenticity of the MySpace pages and no evidence to demonstrate that the photos were not altered. However, in upholding the conviction, the court ultimately determined that even if the prosecution failed to establish a proper foundation for the social media evidence, such error was harmless. This case illustrates the perils of relying on mere printouts of key social media evidence. A determination of harmless error by an appellate court is very subjective and fact specific. The much better approach is for the proponent of social media evidence to collect and preserve such evidence with best practices technology to establish a proper foundation by 1) automatically generating MD5 hash values of the evidence and collection logs including date stamps at the time of collection; 2) collecting all available metadata associated with social media items; and 3) collect the full account as opposed to limited and incomplete segments. Only with this approach can the proponent of the evidence represent that best practices were employed in the collection and preservation of the social media evidence in question. In this case, the defendant sought to suppress evidence from his Facebook account obtained by the government through a cooperator who “friended” him on the social media site. The defendant posted messages to his account boasting prior acts of violence and threatening rival gang members. One of the Defendant’s “friends” — who became a cooperating witness — had access to all of this content by virtue of being the Defendant’s Facebook friend and turned that evidence over to law enforcement. This is yet another personal injury claim where the claimant’s public Facebook postings contradicted their assertions of serious injury. In this products liability case, the defendant sought a court order compelling the plaintiff “to produce complete and un-redacted copies of [her] Facebook and other social networking site accounts.” The defendant based its motion on the plaintiff’s publically available Facebook wall posts and photographs that contradicted her claims of serious injury, and that the plaintiff changed her privacy settings shortly thereafter. The court found the plaintiff’s Facebook account discoverable and compelled its production. Earlier this year we covered the case of Tompkins vs. Detroit Metropolitan Airport, which also highlighted the importance of systematic search of public Facebook as standard procedure for nearly every type of criminal and civil litigation investigation. These cases illustrate that any solution purporting to support eDiscovery for social media must have robust public search and collection capabilities. This means more than merely one-off screen scrapes but instead an ability to search, identify and capture up to millions of social media posts on a highly automated and scalable basis, and the ability to find all information that is publicly available but may not be readily apparent. 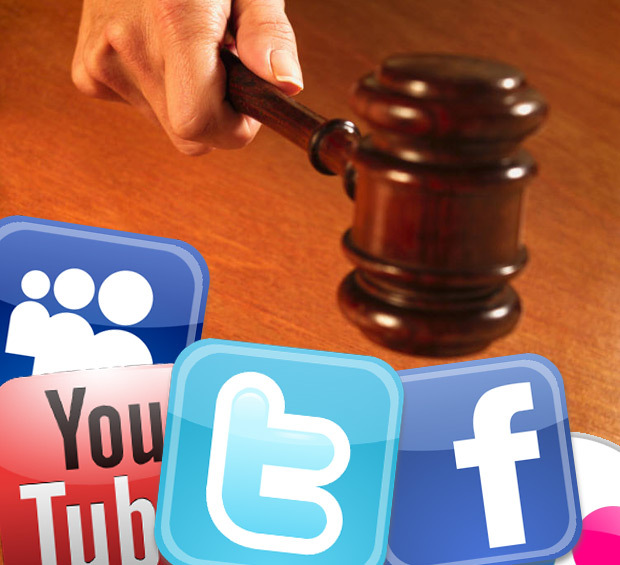 We will continue to monitor the case law on social media and report on significant developments. So stay tuned!